Kyosui eel is known as the Maboroshi eel ("dream eel") of Shizuoka Yaizu. It is characterized by its lack of smell, good quality fat and its unique taste when it melts in mouth. 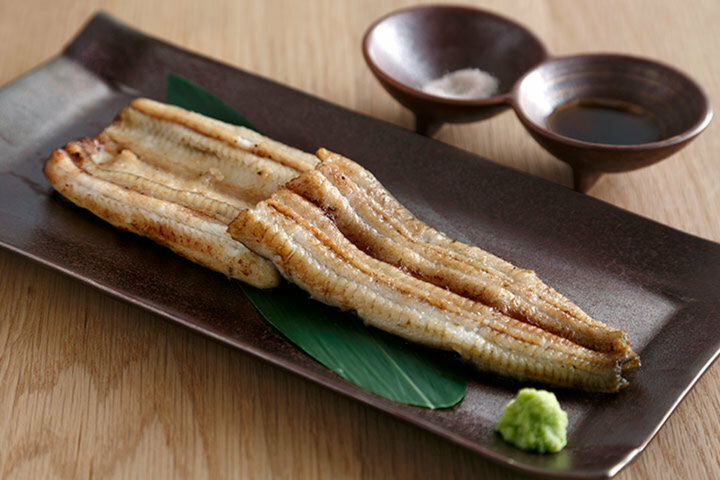 This special rare brand of eel is only available in certain restaurants and Ebisu Unagi Matsukawa is popular for its 100% Kyosui eel menu. 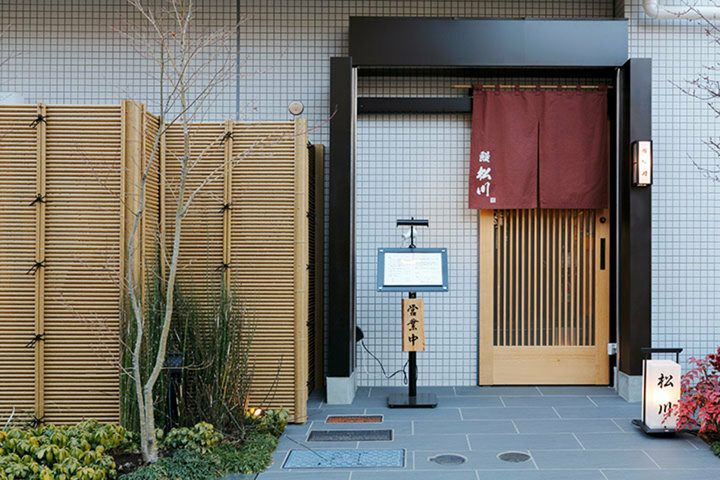 Ebisu Unagi Matsukawa was founded in 1971 (Showa 46), it was relocated twice and reopened in a quiet residential area in Ebisu, Tokyo. Formerly, it was a small eel restaurant by the street which focused on a la carte menu, but now, it mainly offers high-class, luxurious courses in a relaxing setting where you can forget about the hustle and bustle city life. The owner is the second generation, Koji Ando. From his childhood, he grew up watching and learning from his father who ran the eel restaurant. After training for 7 to 8 years at an eel store in Tokyo, he joined Ebisu Unagi Matsukawa in 1989 at the age of 25. Since then, 30 years have passed and he continues to maintain the restaurant's high class reputation. The Kyosui eel is delivered directly from the pond to the wholesaler, and is stored in a circulating fish tank in the restaurant before serving. The charcoal used to grill the eel is Tosa high-grade charcoal, which has strong heating power and lasts for a long time. 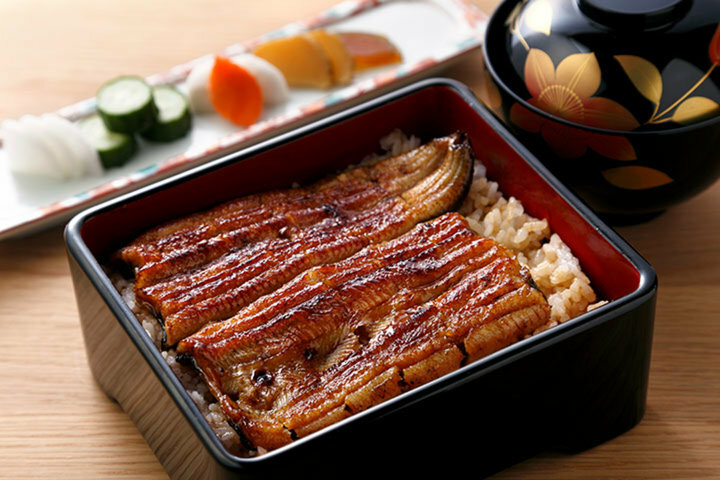 In addition, they also focus on the compatibility of rice with eel, with a blend of 3 different kinds, Akitakomachi, Koshihikari and Sasanishiki rice. The main dish for lunch is broiled eel and for dinner the main course is the recommended course. 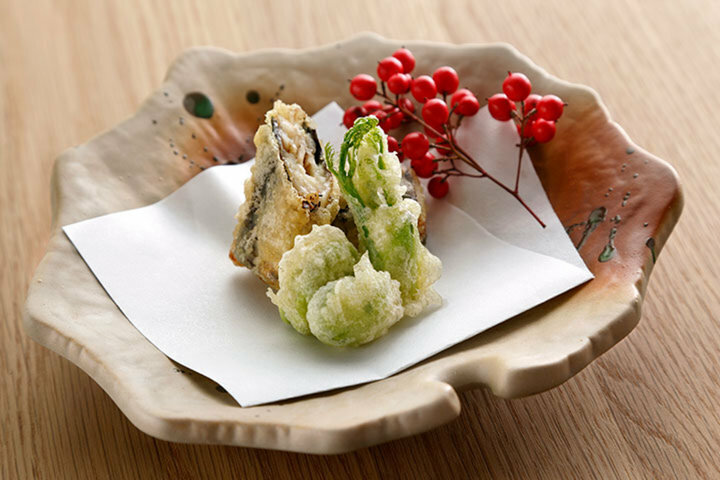 The recommended course consists of seasonal appetizers, eel dumplings, eel and cucumber salad, steamed savory custard, tempura, as well as broiled eel and other eel dishes. There are 2 eels per serving. There are also 7 kinds of sake such as Kuheiji, Kudzuryu, Kubota Senju and Masumi etc., along with 3 types of red and white wine from Italy and France, which were purchased and suggested from the sommeliers. There are 8 seats with a counter made from a 300 year old cypress board, and 2 complete private rooms for 4 people. The private rooms can be joined together by removing the central partition. 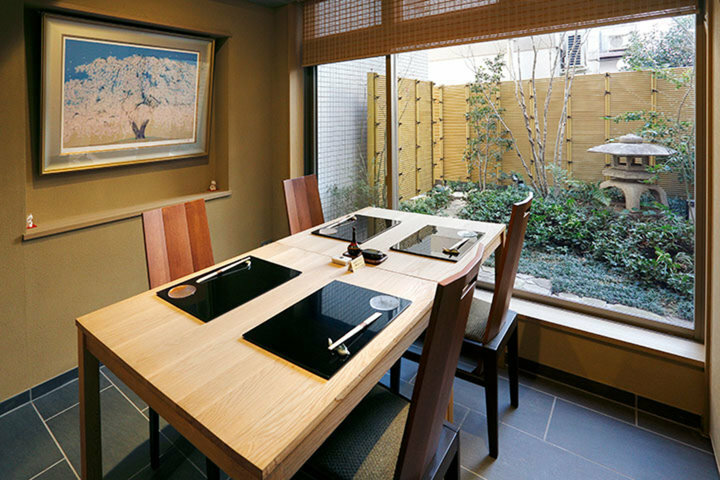 Customers can also enjoy their meals with the view of a Japanese garden and the colored leaves in autumn. 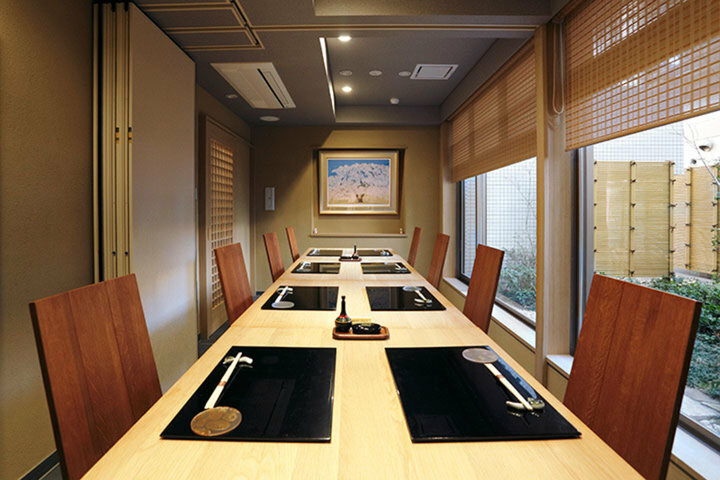 Customers can also use Wajimanuri (lacquer ware boxes) to enjoy the high-class setting and use the establishments for entertainment, dates, anniversaries and family meals, etc. 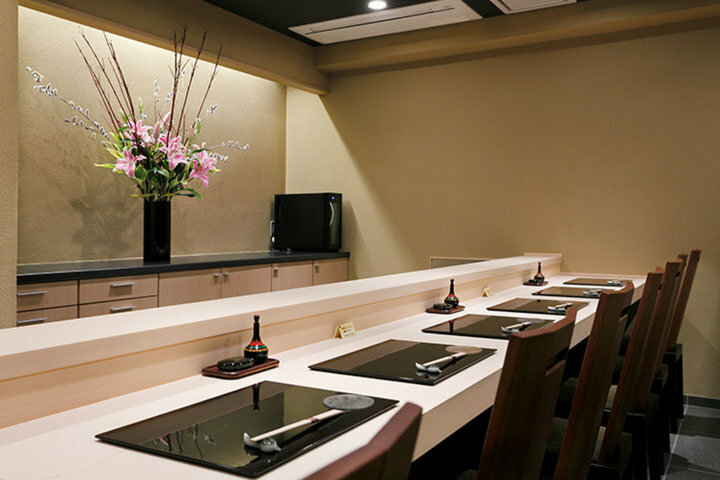 Why not enjoy the "dream eel" in a relaxing restaurant? The best eel I have ever ate. The eel is boneless, and I know it is hard to make the eel feel like boneless because the eel’s bone cannot be removed using knife. Chief is a nice guy and can speak English. This is a nice place and I will visit it again this summer.